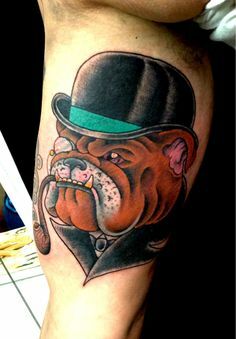 Hi readers, they say that some shops in society will never run out of business and tattoo parlours seem to be among them and then watching Tattoo fixers inspired idea  show us your tats, I’m afraid I do not have any of my own but that doesn’t stop you folk sending in yours. 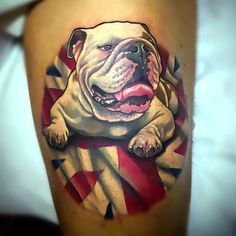 Do you have a bulldog tattoo what size colour etc it’s a topic that’s not been covered here yet but everyday millions of tattoos are done and Tattoo fixers on TV inspired idea the idea show us your tats that way we can share your body art with others and maybe even inspire or want to connect with like minded gutsy people whom do not mind pain. If you do decide to send in a tattoo please be mindful of where on the body it may of been tattooed on and may I suggest that if that’s in a more Intimate area then please only provide close-ups of you are bulldog tattoo or tattoos, the more sent in the more I can curate into one amazing page which can be added to If and when others decide to contribute. All credit will go to the owner owner of the tattoo and if they want a bit of discount off their next ink then they could mention the tattoo parlours name and I’ll advertise the artists work and where they are situated, there’s magazines for tattoos but not many tattooists advertise themselves through social media and only started created websites about a decade ago. Its simple I do not have any, it’s not the pain that’s the issue I was a self harmer when I was very ill my dislike of tattoos comes from those childhood bubblegum sweets with the disposable tattoos wrapped inside, it wasn’t even that it was watching others slurp my arm full of their saliva and then whacking on the paper part rubbing spittle into my skin. I was not a germ 裂 phobic child but I did have a father whom had no teeth and would place any food he couldn’t chew onto my dinner plate, just like the movies it would all slow down as I watched a soggy roast potato 凜 come out of he’s toothless mouth and get placed among my lovely spit free food, I’ve been the same since. 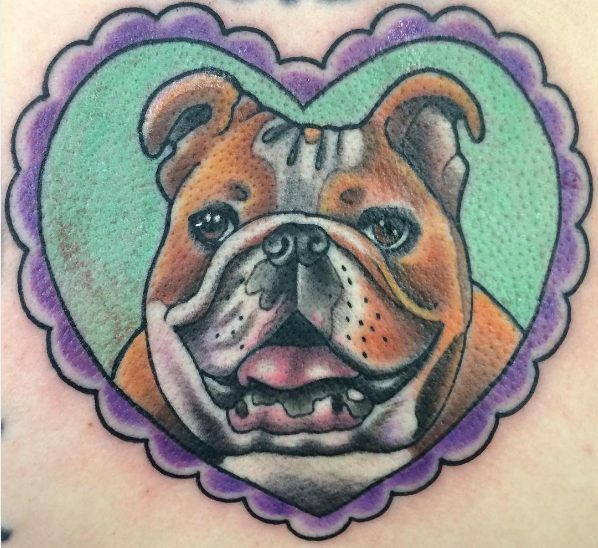 Would love to see tattoo artworks ! If you know or are a tattoo artist and see this here’s an offer I’ll expose you for free if you give us either a walk though of the concept and some examples of your work, in return I’ll make an article focused on the tattooist and any premises they wish to advertise all we want in return is some nice images and some content in which to create an article with.